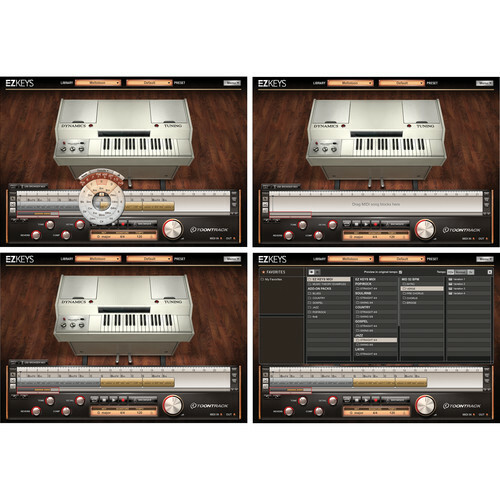 The Mellotoon from Toontracks is a virtual instrument plug-in and standalone application that features a carefully sampled Mellotron M4000, an instrument that was made instantly famous by the likes of the Beatles, Moody Blues and King Crimson among others. 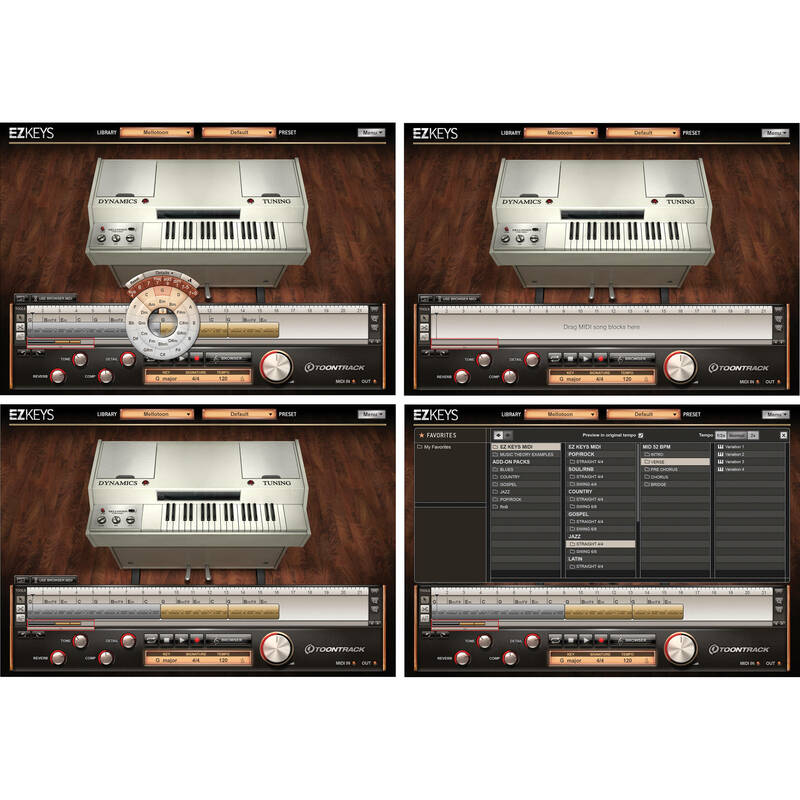 The instrument is built upon the company's EZkeys software engine and is available for both Mac- and Windows-based computers. The fifteen individual instruments were carefully sampled directly from the Mellotron using a blend of direct and amped signals. The resulting patches can access and control various amounts of a tape delay and plate reverb. The software allows for transposing full MIDI tracks on the fly, adding the playing styles from other MIDI sequences, or using the EZkeys Chord Wheel to customize chord voicing and harmonic color, and much more.